On May 26th, I went to the California Public Utilities Commission to encourage them to perform a thorough investigation of the impact of the AT&T / T-Mobile merger on California consumers. As a public interest advocate, I’m used to being the underdog. Despite sending lots of last-minute emails asking people to come, I didn’t expect a huge amount of folks would be able to dispense with work and family and rush over to the commission meeting. The San Francisco Bay Area is often seen across the country as a blue outpost and a place where liberal ideas predominate. This image is especially widespread in media reports which emphasize cultural and political innovations. 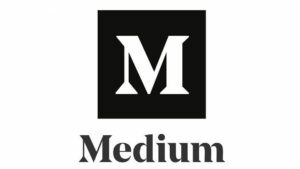 But the local media system which indulges in the self-congratulatory blather is itself a retrograde example of corporate consolidation and dominance. More like Texas than Vermont, if you like. Credit to the Federal Communications Commission for doing its job — about 20 years too late. 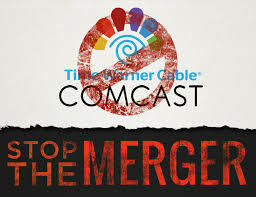 Due to opposition from the FCC and U.S. Department of Justice, Comcast dropped its proposed $45 billion bid to purchase Time Warner Cable on Friday, preventing two of the nation’s least-popular companies from becoming one enormously unpopular mega-company. 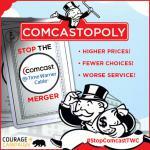 For consumers, the failed merger represents something of a muted victory. The FCC’s record on protecting consumers has been beyond abysmal since the federal government deregulated the telecom industry in the mid-1990s, but Friday’s decision shows the agency is still, apparently, willing to draw the line somewhere. 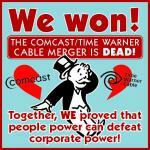 OAKLAND — Comcast announced today that the proposed merger with Time Warner is officially off, and local and national civil rights organizations couldn’t be happier.